McDONOUGH— A formerly vacant 115-year-old building will soon be transformed into a safe resource hub for local veterans. 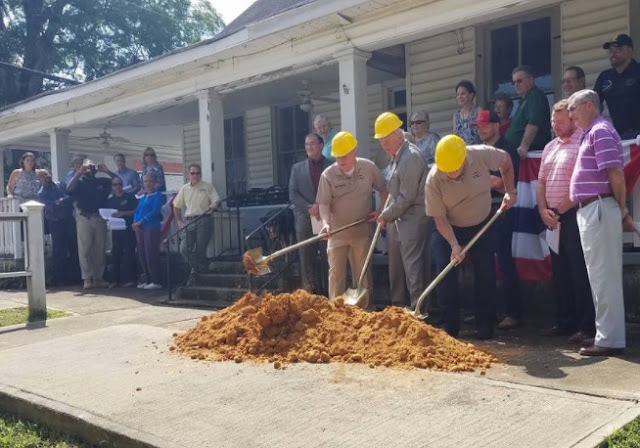 Veterans Support Group, a McDonough nonprofit that provides free assistance to military veterans, took on the 32 Jonesboro St. building through a $10-per-year lease agreement with the McDonough City Council approved in October 2015. Before the agreement, city officials were considering tearing down the building to make way for a parking lot for downtown patrons. Through generous donations from local businesses — including Mercer University, which donated furniture and computers, and the Home Depot Foundation, which donated approximately $93,000 toward the project — the building will not be torn down and will be used for a much more meaningful purpose.